William Shadler is green-lit to portray his previous role in the new Bill and Ted movie. The second sequel of a classic hit movie, Bill and Ted’s Excellent Adventure is finally getting its momentum after years of being under the development phase. And the modern version of the film has some good news to share. 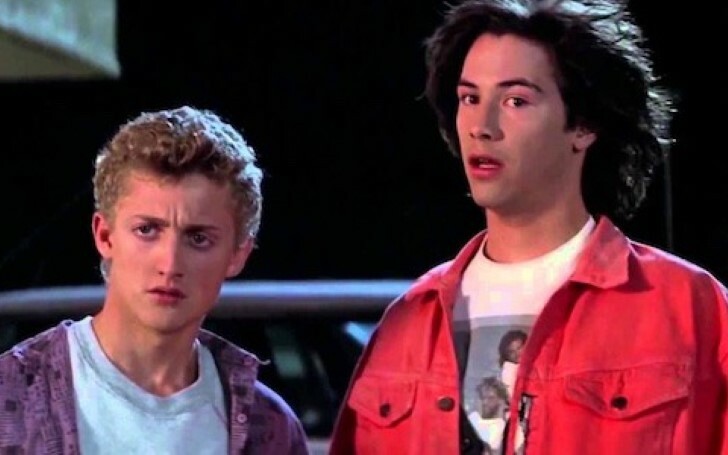 Last week the franchise’s titular stars, Keanu Reeves and Alex Winter confirmed that the duo will indeed reprise their role for the third movie, Bill and Ted Face the Music which is set to release next year, on August 21. The actors also affirmed that the film’s production is very much underway. In addition, William Sadler, the actor who played Death in the second film is also set to reprise his role in the upcoming sequel. William Sadler is set to reprise his role of Gream Reaper in Bill and Ted 3. "For those who have been asking, @Wm_Sadler will totally be reprising his role!" However, it is not known if Sadler is to make just a cameo or play a considerable role in the movie. Sadler's character of Death wasn't featured in the first Bill and Ted movie, 1989's Bill & Ted's Excellent Adventure, but instead was given a major role of an antagonist-turned-protagonist in the 1991 sequel Bill & Ted's Bogus Journey. Over the course of the film, Death goes from challenging Bill and Ted in a game for their souls as a prize to being a key member of the rock band Wyld Stallyns - the greatest band the universe has ever known and the foundation of a Utopian society. Sadler was already in his early forties when he portrayed the supernatural character in the second movie. And now that, it’s been almost three decades since the very film, the actor may find the reprisal of an ageless character quite challenging. Thankfully, he will have an ally of super heavy makeup for that. While it may be possible that some other original casts may revive up their role in the follow-up, one major member that won’t be in the film is the actor who played Rufus (George Carlin) in both movies. With Carlin’s demise, the film was bound to have missed a key character arc to the whole series’ story. And now the movie has decided not to recast the part, instead, Carlin’s absence will be a big part of the movie thematically. Will there be a tribute to George Carlin? The third installment will be penned by Chris Matheson and Ed Solomon and is going to be helmed by director, Dean Parisot. Instead of showing Bill and Ted as a world-class rock stars, the film is reported to feature the two as a struggling middle-aged dads who can't figure out how to fulfill their destiny, although in a pre-San Diego Comic-Con International interview (during the year, 2011), Winter stated the storyline may also involve time travel to the prehistoric era, and the film would likely see a cameo by Eddie Van Halen, as well as the return of Socrates and Billy the Kid, who appeared in the first movie. The two friends had been told as teens that they are supposed to compose a song that would save the universe, but they simply can't get it together. In an interview with Yahoo! Movies, 2014, Winter had revealed more details on the plot where he stated that "[Bill and Ted] will be 40-something and it's all about Bill and Ted grew up, or not grown up". The actor also stated that the film would not be a reboot, but "a Bill & Ted movie, that's what it is. It's for the fans of Bill & Ted. It fits very neatly in the [series]. It's not going to feel like a reboot." The film’s United States distribution is reserved to be handled by MGM under their Orion Pictures label, while its international distribution rights are expected to be determined during the 2018 Cannes Film Festival, with Bloom Media negotiating those deals.